Apple’s iPad is a very popular tablet that is changing the way we use technology, we offer all levels of iPad training and services provided by our experienced, professional and friendly staff to help improve your digital skills. We can teach you the basics to get proficient; you can use one of our iPad’s or bring your own. You can discover how to use an array of features the iPad has to offer, and learn about the iCloud, iTunes, Siri and how to navigate around the Apple App Store. For further information please call 01745 334 482 or click here to send us a message. Stop motion was used to make Wallace & Gromit, but you don’t need a Hollywood budget to make a stop motion film. Stop motion is a fun way to learn how to use the iPad’s camera and digital facilities, it’s great for all ages – you just need a little bit of imagination, we are always on hand to give you some ideas. 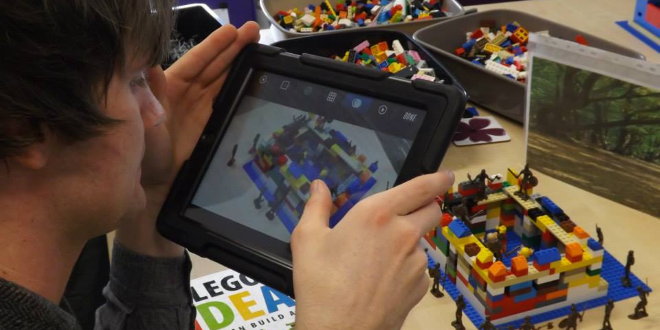 Learners can use the LEGO Story Starter kits to really bring their story to life by taking photos of their LEGO springing into action and animate a short film.